This Kris Medlen guy is really something. The Braves’ 26-year-old pitcher entered yesterday’s game against the Colorado Rockies with a 28.1-inning scoreless streak intact, and while that streak would eventually end at 34.2 innings, Medlen’s streak of not allowing an earned run against is still alive and well, at a remarkable 37.1 innings. 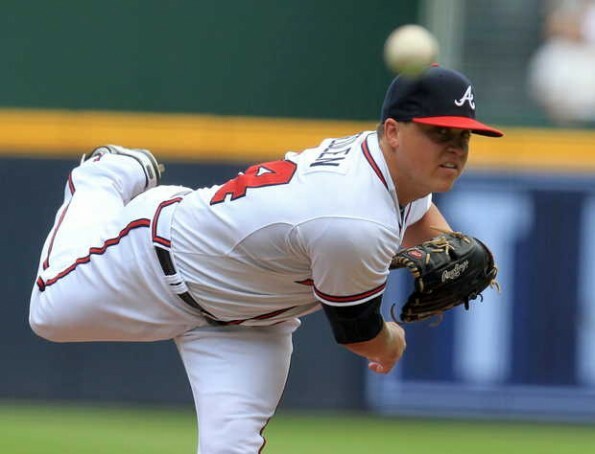 Medlen entered the game with an impressive 5-0 record in six starts this season, and he added another win to his total, as he notched his second complete game of the season. Through nine innings of work, the righty allowed just five hits against and no walks, while striking out a a career-high 12 during the Braves’ 6-1 victory. With the win, Medlen improves to 7-1 on the season with a minuscule 1.56 ERA, and he earns “The Stat Line of the Night” for Monday, September 3, 2012.